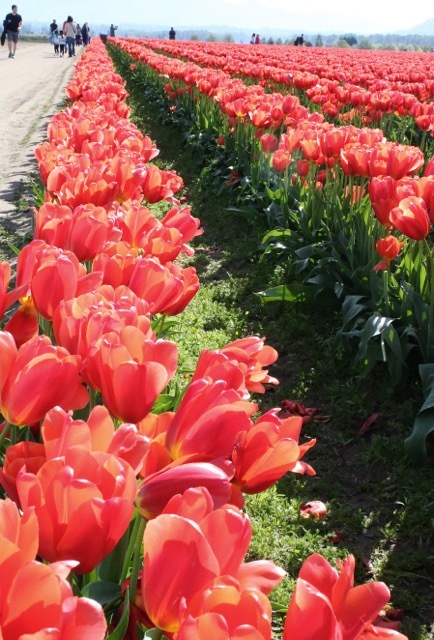 It’s easy to stare slack-jawed at vast fields of tulips, as I always do when visiting the Skagit Valley in April. With throngs of other visitors surrounding you, the tendency is to click the camera and move along. Taking snapshots from about a foot away is as near as most people will get. Stopping to look at tulips more closely is not the first thing that comes to mind. But, if you look deep inside the cup, you’ll find more to be amazed by: the beauty, symmetry and mystery of nature in one flower among millions like it in the field. This entry was posted in Nature photography, Photography, Washington, West Coast and tagged flower photography, flowers, Skagit Valley Tulip Festival, tulips. Bookmark the permalink.